Orientation field (OF) estimation is an important procedure in fingerprint image preprocessing. As for the hard problem that traditional methods cannot estimate the OF on incomplete fingerprint image accurately and the subsequent recognition will be influenced unavoidably, we propose an algorithm for the OF estimation which combines together the fidelity term of the local information from incomplete fingerprint image and a total variation (TV) regularization term. The local information involves the OFs evaluated by the traditional gradient-based method and the zero-pole model-based method. The experimental results demonstrate that proposed algorithm is effective in reconstructing the OF of incomplete fingerprint image. 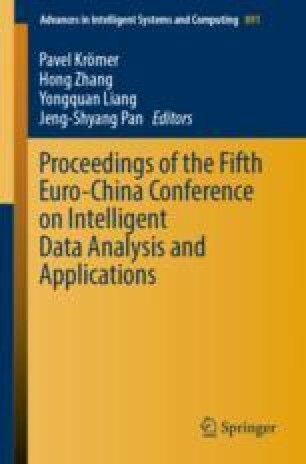 This work was supported in part by the project for the innovation and entrepreneurship in Xi’an University of Posts and Telecommunications (2018SC-03), the Key Lab of Computer Networks and Information Integration (Southeastern University), Ministry of Education, China (K93-9-2017-03), the Department of Education Shaanxi Province (16JK1712), Shaanxi Provincial Natural Science Foundation of China (2016JM8034, 2017JM6107), and the National Natural Science Foundation of China (61671377, 51709228).